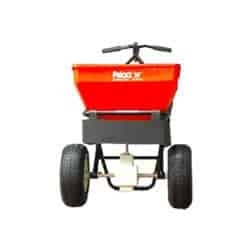 Our Salt Spreaders have the detail to attention and mechanics to give you a perfect application of deicer every time. Pneumatic tires mounted on a heavy duty stainless steel axle. Heavy duty gear box guaranteed for the life of the spreader. Single opening reduces blockage & helps create a consistent flow for spreading ice melt on sidewalks evenly. 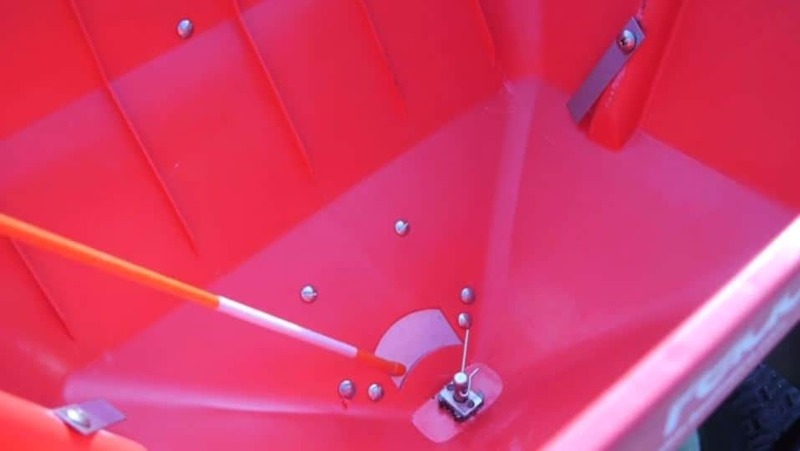 Lock in proper application amounts with setting on back of hopper. Screen prevents chunks from going through spreader. Shield improves application accuracy and reduces waste and turf damage. Removable rain guard protects ice melt from the weather. Single opening for even ice melt application.